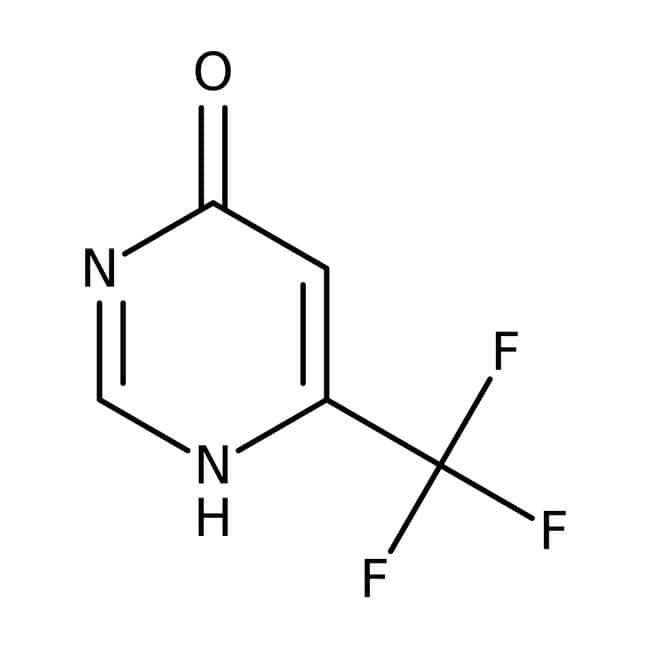 6-(Trifluoromethyl)-4-pyrimidinol is used as building block in chemical synthesis. It may also be used in the synthesis of 10-[3-(6-trifluoromethyl-pyrimidin-4-yloxy)-propoxy]-(20S)-camptothecin. Solubility in methanol (almost transparency). Slightly soluble in water. Store away from oxidizing agents. Keep the container tightly closed and place it in a cool, dry and well ventilated condition. Protect from heat.